The park in Malawi offers a large fenced-in sanctuary. The elephants being moved there are safe from poachers who want to kill them for their ivory tusks. It took time. Some thinking. Students put the pieces together and got it. A sanctuary is a safe place that offers protection from danger. I did not connect the word to anything other than our classroom effort to understand. 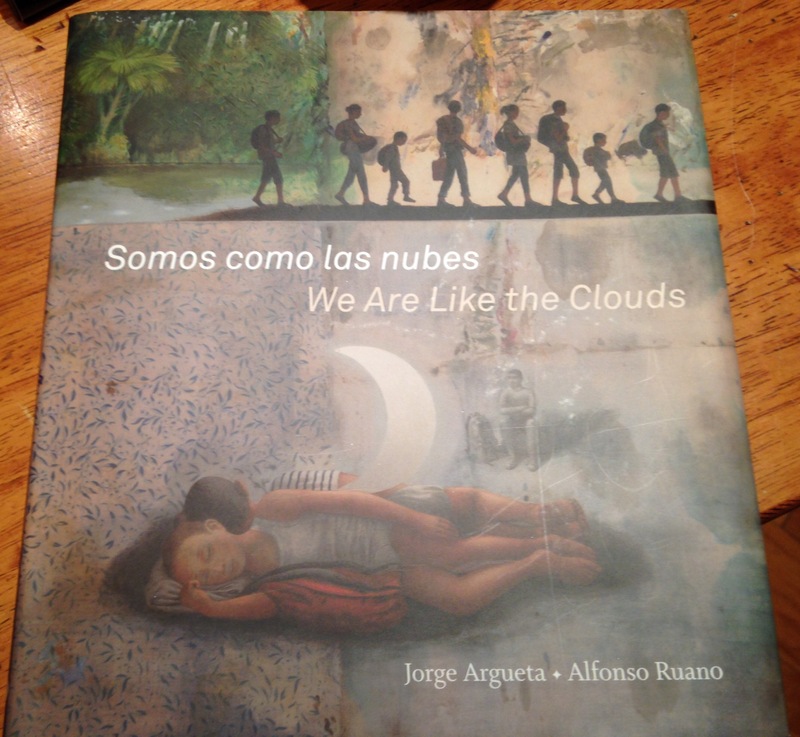 It took reading this book of poetry written by Jorge Argueta with pictures by Alfonso Ruano. into the hands of the migra. We are like the butterflies. We are like the rivers. We are like the ocean. For it to sink in. To get it. I am just like my students sometimes. I need to take the time to read and think. Before I put it all together. I am proud of my city. who flee evil in hope. May – we – protect and keep you. Amen. Thank you, Carol, for hosting Poetry Friday! Read more at her blog Beyond Literacy Link. 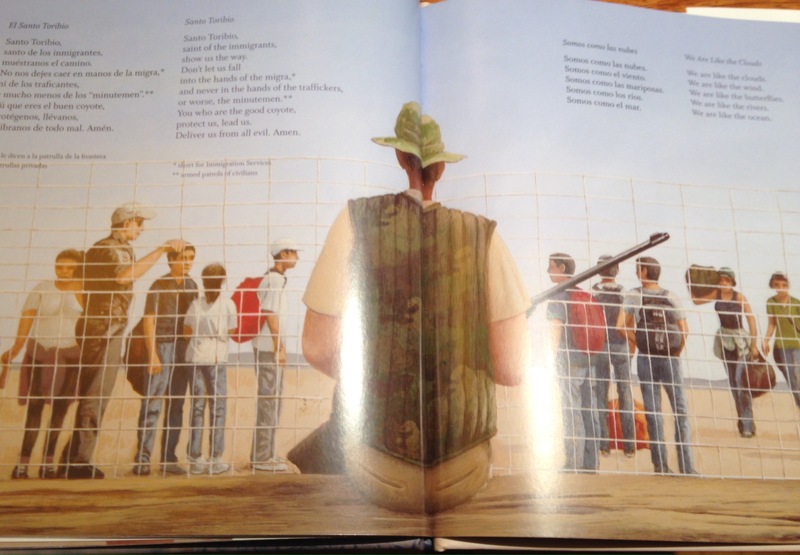 I loved the poems in that book and the art work is stunning. I really felt like I was holding art as I was reading the book. What a beautiful book and poems. Your classroom is a sanctuary. I know many immigrants and muslims who are worried. Who marched. And who Trump ignores. Which is odd considering his origins and those of his wife. Great to bring all this together and make the issue come alive for your class. That book shows us well how the “others” feel. I’m proud of our sanctuary cities, but sad they must fight to continue their role with immigrants. Wonderful to hear that you discussed this with your students. My grandfather was a refugee who lost everything when his country fell to fascism. My grandparents and parents are immigrants. We were offered a new life, and made a fresh start in a new country. The climate in the States right now just breaks my heart. So thankful for teachers and educators like you, who are supporting their students as they navigate these troubling times, and develop into empathetic future citizens. Thank you, Julieanne, for continually giving your children access to learning that will empower them to be thinkers of this new world. Thank you for inviting us to think along with you and begin to put the pieces together. I am proud of those cities who are standing up for the immigrants who live among them. I, too, am looking and searching for ways I can offer sanctuary to those who are afraid. Thank you for sharing these and connecting your own experience to that in your classroom. We keep elarning don’t we – and in troubled times, that is so very important. Wow. Thanks for sharing this powerful moment and learning. Amazing. Thank you for sharing your efforts to create time and space for empathy in your life and in your classroom. “Sanctuary” is such a powerful word! I am writing the word sanctuary in my notebook right now. Such a beautiful book. Thank you for sharing! I like what people in the comments said about your classroom being a sanctuary and poetry being a sanctuary. I wonder if anyone made that their one little word? There’s so much you can find in it. Thanks for the heart-touching post. 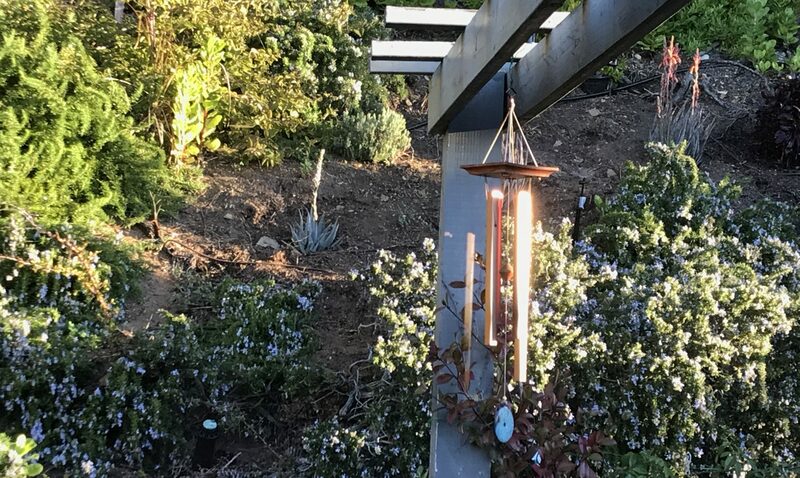 Wonderful post, Julianne! So touching to see the little ones grasping the concept of sanctuary. More than endangered species will need our sanctuary from here on out if things continue Thanks for posting! We are so much *process* at the moment, aren’t we? When things turn upside down and inside out, it’s our dissonance and learning that shows. This small journey brought tears, Julieanne–thank you for taking us along to your city of angels.